It is one thing deciding to try your hand at making candles at home but it is another story figuring out where to start. While many of the large, national craft stores sell candle and soap making supplies, their offerings are not always of the greatest quality, and their selections are inclined to be very limited. To obtain your supplies, it is advisable to visit one of the many Internet sites devoted to the craft of candle and soap making. On these specialty websites, you will find not only a wide variety of candle wax, fragrance oil, wicks, candle making moulds, containers and accessories, but many will also contain message boards full of valuable information for newcomers as well. The best way to learn about making candles is to talk with and pick up tips from those who have already done it. You will not only gain valuable knowledge, but you will very likely save yourself time and money by not replicating the many mistakes they have most likely made. A large part of learning the craft of candle making is by trial and error, and it may surprise just how willing others are to share their experiences. Once you have done some research, decided what type of candles you are going to make, whether it be scented, floating, gel or votive and have an idea as to how you are going to go about making them, it is time to buy your supplies. The most important thing to bear in mind is to buy only what you need. With as many candle making supplies as there are available, it is tempting to want to buy anything and everything that looks appealing. Bear in mind that you are most likely going to make adjustments in your supplies and techniques as you get going. While bulk buying fragrance oils and waxes may appear to offer significant cost savings, it is advisable to purchase in smaller quantities when you are getting started until you know that you are pleased with your result. It does not make much sense to purchase fifty pounds of paraffin or bees wax that ends up not working to your satisfaction. Another thing to remember is that most of the online candle making suppliers do not require a minimum purchase. Because of this, you do not have to be limited to just one supplier. Shop around. You may find better prices or widely different offerings from one supplier to another. Suppliers closer to you may save you substantial money on shipping so see what you can buy close to home when possible. Finally, as holds true in so many areas, cheaper is not always better. When it comes to candle making, you pay for quality. As you will quickly learn, you do get what you pay for. This becomes very apparent as you start working with your waxes and candle dyes. While getting started and learning how to make candles can be intimidating, just remember that many others have conquered the task before you. Listen to those willing to share and learn from their triumphs and mistakes. You may even want to consider buying a candle making book which offers instructions on the craft. However you choose to go about learning, just keep in mind that even the most experienced candle maker can always learn something new as well. 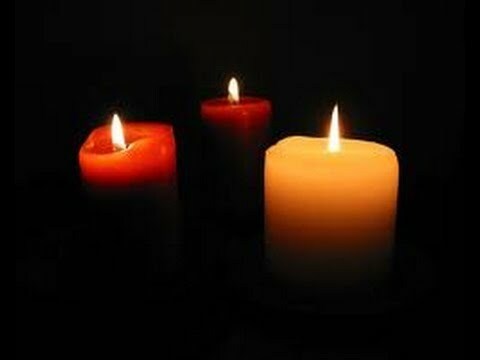 Do not be afraid to experiment when making candles, and most of all, have fun in your new project.